Established in 1989, JiaXiing Yazhong Ribbon Co., Ltd is a professional manufacturer and exporter that is concerned with the design, development and production of printer consumables. such as printer ribbon, fax film ribbon, laser toner cartridge, toner powder, ink and so on. 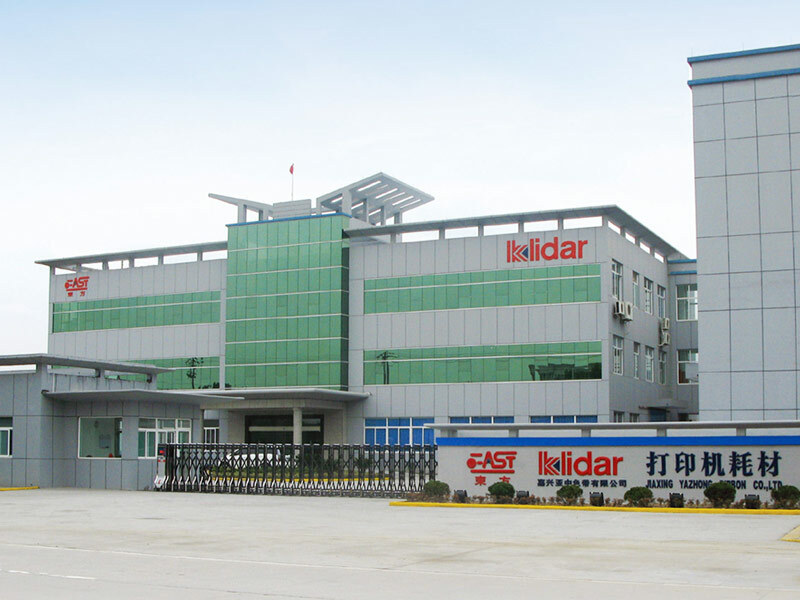 After twenty years efforts, our company has modern injection molding machines, mold design, advanced production lines, and offers more than 1000 kinds of products. In order to provide good service to domestic and overseas markets, our development goals are enhancing the brand promotion of new products, taking science and technology as the primary productive force, relying on new technology professionals and innovation, writing a new chapter of professional research, develop and manufacture of printing consumables industry. We are located in JiaXing city, next to Shanghai and Ningbo port with convenient transportation access. All of our products comply with international quality standards and are greatly appreciated in a variety of different markets throughout the world. Covering an area of 16000 square meters, we now have over50 production lines, an annual sales figure that exceeds USD 6 million and are currently exporting 70% of our production worldwide. We provide OEM & ODM service, "Quality and service comes first," is our business strategy and our purpose is to farthest satisfy customer’s requirements. Our well-equipped facilities and excellent quality control throughout all stages of production enables us to guarantee total customer satisfaction. Besides, we have received ISO9001: 2008 Quality Management System Certification and ISO14000: 2004 Environmental Management System Certification. As a result of our high quality products and outstanding customer service, we have gained a global sales network reaching all over the world successfully.